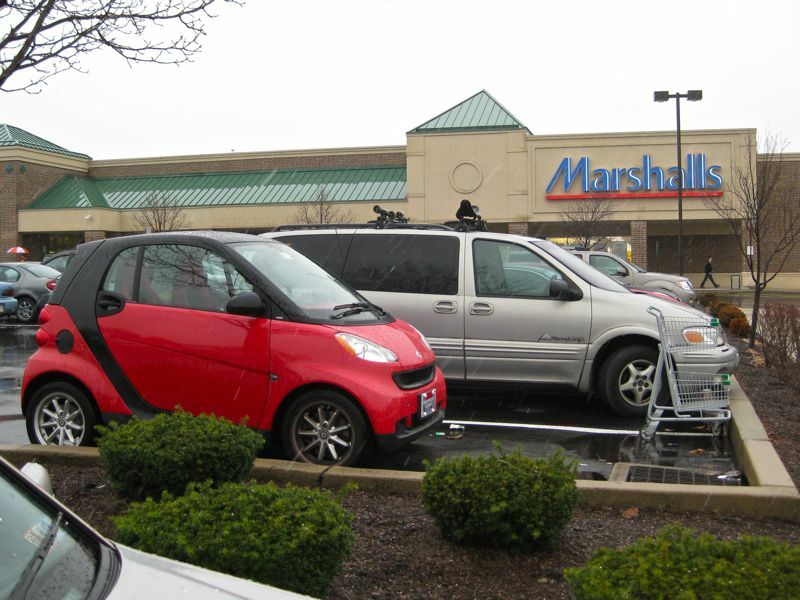 When I saw this smartcar parked next to me I thought I might get lucky and find one on sale in Marshalls. No luck. I could have fit this one into my van, but it was a bit tall and would have smashed the breakable items I had already purchased. The back of this smartcar was filled with shopping. It would have been cruel to leave their shopping in the parking space getting snowed upon after I permanently borrowed their car. So I'm sorry girls (who were expecting a new car for Christmas), you'll have to be happy with a pair of warm socks. Afterall, one never has enough warm socks. thanks Dumbledore, I'll keep that tip in mind.